So Sweet Couture produce delicious Dairy Free Alternative to Milk & White Chocolate handmade in the heart of Pembrokeshire. All of our yummy chocolates are made using free - from ingredients, natural freeze dried fruits and oils and being Dairy Free, Vegan and Gluten Free, whether you have allergies or a lifestyle choice, everyone can enjoy our great tasting chocolate. 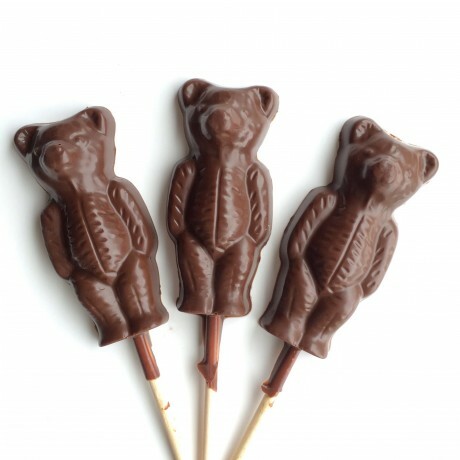 3 x Dairy Free Alternative to Milk Chocolate Teddy Lollies. Dairy Free - Gluten Free - Suitable for Vegetarians and Vegans. Our Artisan Chocolate gifts make the perfect gift for a chocolate lover or why not treat yourself. Shelf Life = 6 months from production. 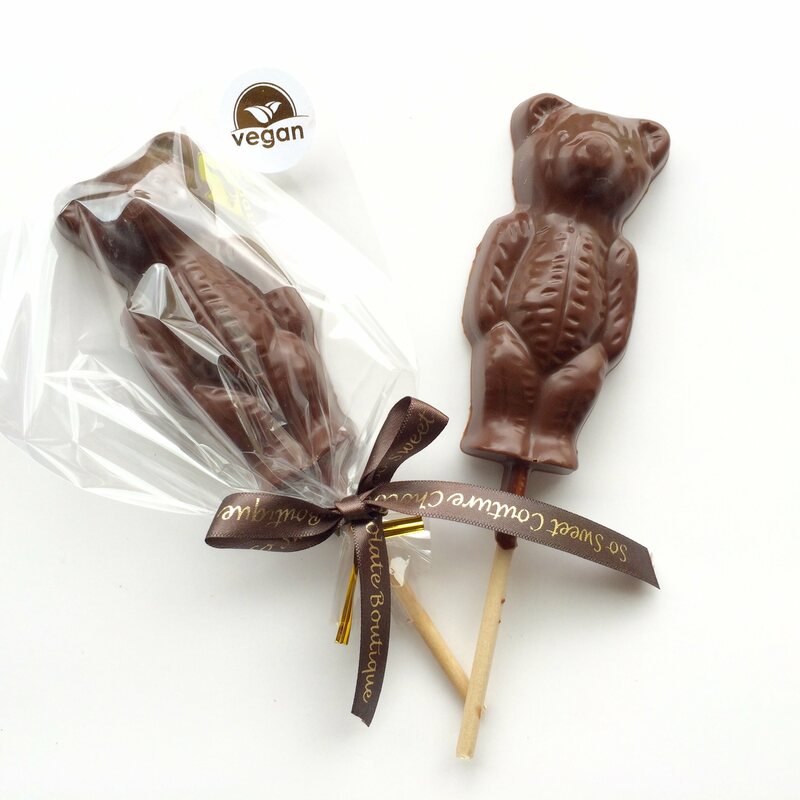 Dairy Free Alternative to Milk Chocolate Teddy Bear Lolly.Ingredients: cocoa butter, sugar, rice powder (rice syrup powder, rice starch, rice flour), cocoa mass, emulisifier; sunflower lecithin.Contains Cocoa solids 45% minimum.